Almost 30 years ago, my Mum wrote a book about WB Yeats with her friend Catherine Sweeney. She was shocked at how little my siblings and I knew about Yeats and decided to "fix it" by writing a book for children on the great poet. Of the series of books my mother wrote on historical Irish figures - including Jonathan Swift and James Joyce -the Yeats book has always been the most popular. Every June, Bloomsday sweeps the country, with enthusiasts in boater hats and on bicycles taking over the streets as Joyce is remembered and lauded. Rightly so, but it's also lovely to see the 150-year anniversary of Yeats's birth being celebrated, bringing his name to the fore for the younger generation. Yeats was a fascinating man. Of all the Irish writers, he was the one who had a long and very intense involvement with the politics of Ireland. Born in Dublin, he was, however, richly influenced by his mother's native Sligo. His poetry was strongly influenced by the Irish folklore and iconic landscapes of that part of Connacht. His obsession with Maud Gonne also famously affected his writing. She became the muse that tortured his soul. The poems and plays she inspired are legendary. Plato sums it up in 'The Phaedrus': "There is also a third kind of madness, which is the possession of the Muses; this enters into a delicate and virgin soul, and there inspiring frenzy, awakens lyric and all other members." That certainly sums up Yeats's relationship with Maud Gonne. His frustration at his inability to win her over has given us readers the gift of his beautiful writing during that difficult period in his personal life. We can only thank Maud Gonne for not bending to his will, for then we would have been robbed of poems like 'He Wishes for the Cloths of Heaven' and, my personal favourite, 'When You are Old'. In 1896, Yeats met the second most influential female figure in his life, Lady Gregory, whom he would later marry. Lady Gregory encouraged Yeats's Irish nationalism and together with JM Synge, Sean O'Casey and Padraic Colum, Yeats established a movement known as the Irish Literary Revival. The group's manifesto, which Yeats wrote, declared: "We hope to find in Ireland an uncorrupted and imaginative audience trained to listen by its passion for oratory ... and that freedom to experiment which is not found in the theatres of England, and without which no new movement in art or literature can succeed." The Abbey set out to push boundaries and the riots around those Synge and O'Casey plays were testament to the groundbreaking nature of what was being achieved, and to the courage of the Abbey in the face of public criticism. When it came to the younger generation of writers, like Joyce, Yeats was generous. In fact, Yeats was one of Joyce's earliest supporters. He was already well established as a literary figure in Dublin and London in October 1902, when he and Joyce met for the first time at the National Library. At the end of that first meeting, Joyce asked Yeats how old he was. Yeats shaved a few years off his actual age of 39 but Joyce replied: "I thought as much. I have met you too late. You are too old." Despite Joyce thinking Yeats was 'past his prime', the older poet produced some of his best work later in life. 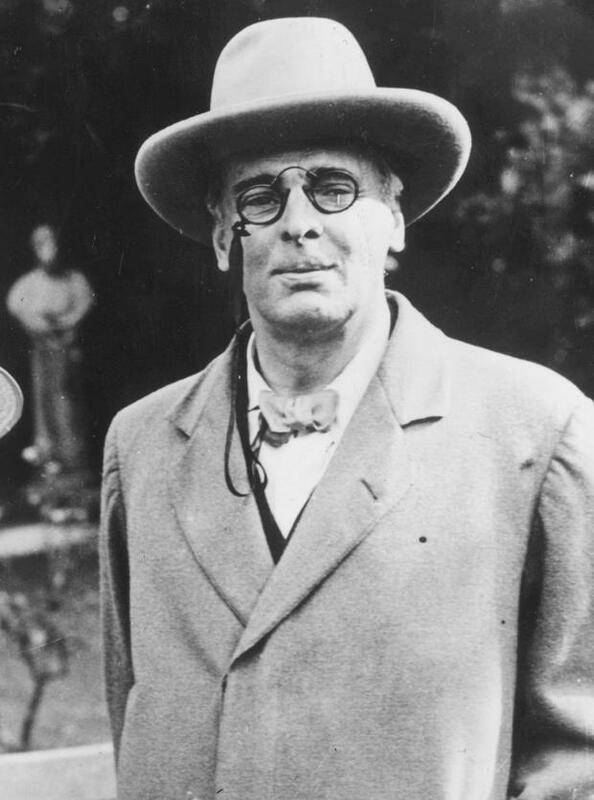 In 1923, at the age of 58, Yeats became the first Irishman to be awarded the Nobel Prize in Literature, "for his always inspired poetry, which in a highly artistic form gives expression to the spirit of a whole nation". But Yeats was acutely aware of the symbolic value of an Irish winner so soon after Ireland had gained independence. In his responses to many of the letters of congratulations sent to him, he noted: "I consider that this honour has come to me less as an individual than as a representative of Irish literature, it is part of Europe's welcome to the Free State." I'd like to end with a quote from my favourite Yeats's poem, 'When You Are Old': "But one man loved the pilgrim soul in you/And loved the sorrows of your changing face." That's the way I feel about Yeats, one of our literary treasures. Sinead Moriarty When I was growing up, people popped in to our house all the time… unannounced. They didn't call the day before to prepare you for the popping in, they just arrived on your doorstep.